As many of you know, after months of waiting Microsoft has finally released Windows Phone 8 SDK to the general public. This means that you can now start writing WP8 apps and it should probably come as no surprise that ReSharper is here to help once again! Code completion is provided in both the C# and VB languages as well as XAML. 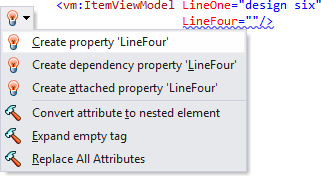 A vast array of XAML-related improvements is provided in 7.1. These include improved support for XAML code completion as well as typing assistance, binding assistance, support for custom bindings and resource dictionaries and lots of other improvements. Check out this blog post for details. We’ve ensured that all of the aforementioned mechanisms (as well as many others) are supported under the various C#- and VB.NET-based Windows Phone project types, making development of WP8 applications that much easier and more intuitive. Enjoy! Right now, you can download a fresh ReSharper 7.1 nightly build. The final release should be available shortly as well. 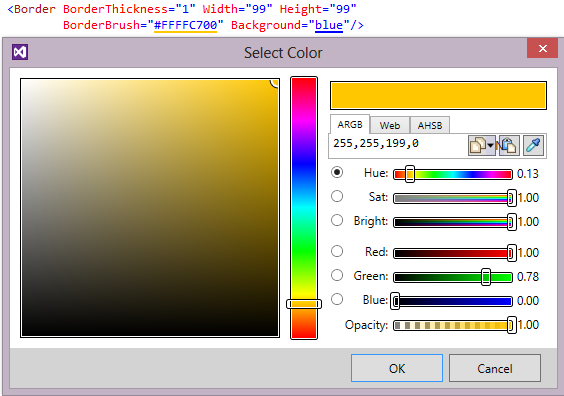 This entry was posted in How-To's and tagged ReSharper, ReSharper 7, Windows Phone, XAML. Bookmark the permalink.